Solar Light’s state of the art single output Solar Simulators produce IR solar radiation in the 700-2400nm range. These precision research-grade instruments are specifically designed for in vitro and in vivo sunscreen testing, as well as clinical, medical, and photobiological studies. Models are available from 150W / 0.8″ (2cm) to 1000W / 6″ (15.25 cm.) These precision research-grade instruments comply with laboratory standards such as ASTM, IEC, and ISO. Kits come complete with everything required to begin testing immediately, including Solar Simulators, Power Supplies, Automatic Dose Controllers, NIST-Traceable PMA-Series Sensors, safety glasses, and other related accessories. LS1000-6S-IR Solar Simulators produce a 6″ (15 cm) Infrared (IR) solar radiation in the 700-2400nm range specifically designed for in vitro and in vivo sunscreen testing, as well as clinical, medical, and photobiological studies. 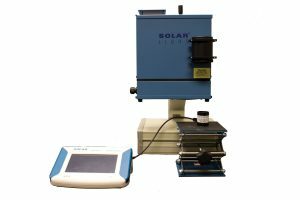 LS1000-6R-IR Solar Simulators produce a 6″ (15 cm) Infrared (IR) solar radiation in the 700-2400nm range specifically designed for in vitro and in vivo sunscreen testing, as well as clinical, medical, and photobiological studies. 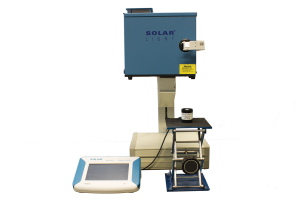 LS1000-4S-IR Solar Simulators produce a 4″ (10 cm) Infrared (IR) solar radiation in the 700-2400nm range specifically designed for in vitro and in vivo sunscreen testing, as well as clinical, medical, and photobiological studies. LS1000-4R-IR Solar Simulators produce a 4″ (10 cm) Infrared (IR) solar radiation in the 700-2400nm range specifically designed for in vitro and in vivo sunscreen testing, as well as clinical, medical, and photobiological studies. LS1000-2S-IR Solar Simulators produce a 2″ (5 cm) Infrared (IR) solar radiation in the 700-2400nm range specifically designed for in vitro and in vivo sunscreen testing, as well as clinical, medical, and photobiological studies. LS1000-2R-IR Solar Simulators produce a 2″ (5 cm) Infrared (IR) solar radiation in the 700-2400nm range specifically designed for in vitro and in vivo sunscreen testing, as well as clinical, medical, and photobiological studies. 16S-300-3-IR Solar Simulators produce a 3″ (7.5 cm) Infrared (IR) solar radiation in the 700-2400nm range specifically designed for in vitro and in vivo sunscreen testing, as well as clinical, medical, and photobiological studies. 16S-300-2.2-IR Solar Simulators produce a 2.2″ (5.7 cm) Infrared (IR) solar radiation in the 700-2400nm range specifically designed for in vitro and in vivo sunscreen testing, as well as clinical, medical, and photobiological studies. 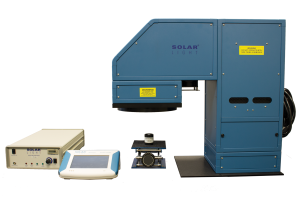 16S-300-1.2-IR Solar Simulators produce a 1.2″ (3 cm) Infrared (IR) solar radiation in the 700-2400nm range specifically designed for in vitro and in vivo sunscreen testing, as well as clinical, medical, and photobiological studies. 16S-150-1.2-IR Solar Simulators produce a 1.2″ (3 cm) Infrared (IR) solar radiation in the 700-2400nm range specifically designed for in vitro and in vivo sunscreen testing, as well as clinical, medical, and photobiological studies. 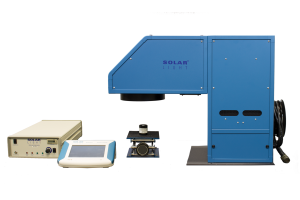 16S-300-0.8-IR Solar Simulators produce a 0.8″ (2 cm) Infrared (IR) solar radiation in the 700-2400nm range specifically designed for in vitro and in vivo sunscreen testing, as well as clinical, medical, and photobiological studies. 16S-150-0.8-IR Solar Simulators produce a 0.8″ (2 cm) Infrared (IR) solar radiation in the 700-2400nm range specifically designed for in vitro and in vivo sunscreen testing, as well as clinical, medical, and photobiological studies. 16S-150-0.4-IR Solar Simulators produce a 0.4″ (1 cm) Infrared (IR) solar radiation in the 700-2400nm range specifically designed for in vitro and in vivo sunscreen testing, as well as clinical, medical, and photobiological studies.